On Friday evening, a line of thunderstorms moving South East across Lake Erie managed to hit Cedar Point before they came my way. 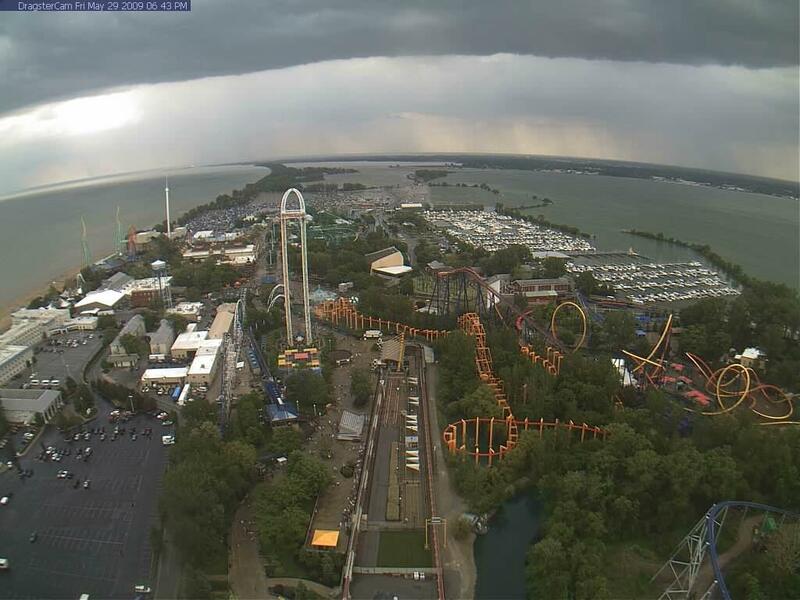 Knowing that Cedar Point has come cool webcams at the park, I decided to check out the view from the Top Thrillside Dragster and sure enough, I got a great view of a thunderstorm pouring down rain over the lake. On the right side of the picture, you can see heavy rain falling from the sky. An ultimate web cam shot would be to see a waterspout over the lake from this view. I’m still waiting! .-= ´s last blog ..7 best Church themes =-.